Lazy eye happens to be a typical complaint among children. This visual impairment—amblyopia, as termed by ophthalmologists—is normally treated by covering up the good eye with an eyepatch. This approach trains the lazy eye to work harder, allowing the brain to get its signals. The chances of recovery are greater if the treatment is initiated sooner. Conversely, this form of occlusion therapy has two major disadvantages—vision is spatially limited, and young wearers refuse to wear it because they usually experience the eyepatch as unsightly. Additionally, this type of treatment is effective only when the patient wears the eyepatch for a prescribed time period. In a collaborative project, industry and research are striving to attain a decisive enhancement in this usually challenging treatment for young children. They believe that the latest interactive, context-reliant shutter eyeglasses equipped with sensor-based feedback will boost treatment compliance for this kind of complaint. This innovative technology covers up the good eye of the patient only when the condition is suitable. For instance, during sport or other activities, where good spatial vision is required, this function is deactivated in order to prevent any hazards of accident. A multimodal sensor system incorporated in the temples of the eyeglasses controls the use and operation of the shutter eyeglasses. At Fraunhofer Institute for Biomedical Engineering IBMT, scientists have devised this novel technology in tandem with a smartphone app to allow parents to track the treatment. This technology produces data, which is all compiled in a digital patient file system, also designed by the IBMT team. This unique web-based application, which conforms to data-protection laws, can be easily accessed by ophthalmologists to adjust, monitor, and enhance the treatment. For instance, it informs the physician if and when the patients have worn the eyeglasses—data that was not available with standard treatment. The data is uploaded to the app via Bluetooth and then securely archived in a cloud database. Our goal is to provide an individual, patient-based therapy. Dr Frank Ihmig, Scientist, Fraunhofer IBMT, St. Ingbert. Various sensors generate data for real-time processing. These include skin-contact and temperature sensors that not only track the length of time but also monitor the position in which the eyeglasses have been worn by the patients. The sensors even determine the occlusion phases, during which time the LCD lenses are darkened. “This data is logged in an electronic memory device integrated in the eyeglass frames,” explains Ihmig. An electronically controlled shuttering system based on integrated liquid crystals is used to darken the eyeglass lenses. It is possible to adjust the duration and frequency of the occlusion treatment individually to each particular case. It is thus more versatile when compared to the traditional eyepatch treatment. In this manner, project associates hope to boost the children to wear the eyeglasses for the prescribed period of time. The skin-contact sensors are capable of monitoring whether the shutter eyeglasses are being worn in the appropriate position, and they even provide the children with child-friendly feedback. This can aid in increasing the acceptance criterion for this type of treatment as well. An acceleration sensor has the ability to detect certain patterns of movement and can differentiate between a wide range of activities, for example, standing up, sitting down, lying down, running, walking, jumping, climbing stairs, and cycling. Our shutter eyeglasses are context-sensitive. This means that when the wearer is involved in energetic activities such as sport, for example, the mechanism for darkening the LCD lenses is deactivated, and they remain clear. This ensures full spatial vision and removes the risk of the wearer being involved in an accident. Dr Frank Ihmig, Scientist, Fraunhofer IBMT. For amblyopic children, initial tests have been scheduled for the second quarter of 2019. It is also believed that a validation study to be performed at the conclusion of the project will prove the treatment’s medical benefits. 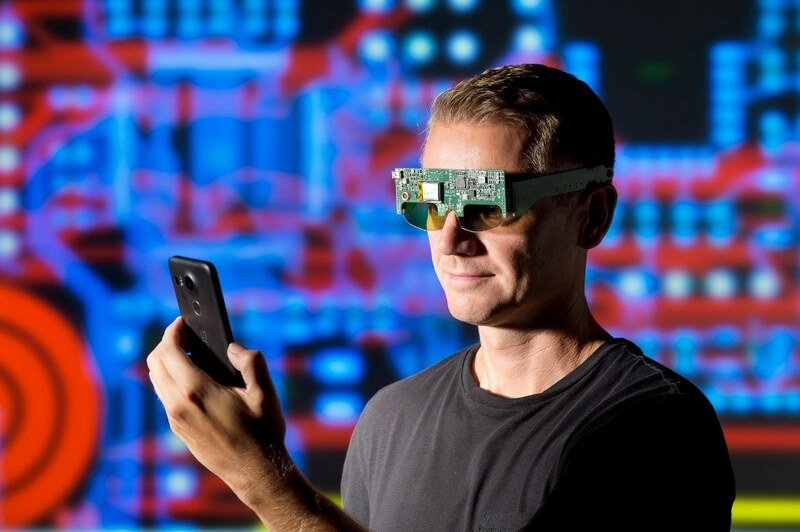 A first functional model of the electronics has already been developed by scientists for the novel shutter eyeglasses. The subsequent step will be to make these eyeglasses smaller so that they can be incorporated in children’s eyeglass frames. Simultaneously, the team is also working to render the electronics more energy-efficient and thus extend the life of the battery. The battery is recharged inductively, that is, without using any cable. The functional model will be showcased at the joint Fraunhofer booth (Hall 10, Booth G05/H04) at the MEDICA trade fair, which will be held in Düsseldorf from November 12th to 15th, 2019.